When you think about your favorite restaurant, what are the things that come to your mind? Scrumptious food, delicious cocktails, and that overall familiar feeling of gastronomic indulgence, right? But there are other things that make a particular restaurant your favorite, too. 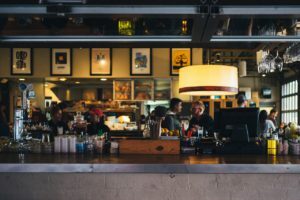 For example: The cozy chairs, the vibrant atmosphere, the ambience, the lighting used … This is exactly what restaurants prefer to cash in on, in addition to having a well-planned menu. The scenario in the hospitality sector has undergone tremendous evolution over the years, and it still continues to transform in front of our eyes. Décor and design trends in the restaurant industry is trying to keep up with everyone’s tastes, and in accordance with what’s in vogue. Consuming good food is something people can do at home as well, and hence the customers of today expect more when dining out. They want a memorable experience right from the minute they step inside the restaurant till the moment they leave. Although it’s not always apparent, a restaurant’s design plays a key role in impressing customers and driving footfall to the establishment. Innovative and creative interior designs set the tone for the that restaurants are able to convey to their make their customers realize the kind of dining experience they can expect, and prove how it’s different and superior as compared to the other similar establishments. Let’s talk about some of the restaurant design trends that will be big in 2018. Nowadays, restaurants don’t just want to be perceived as a place to eat at. They want to give their customers a fine dining experience, striving to provide them with positive, engaging, and enjoyable experiences, so that they want to keep coming back. Whether it’s a family reunion, a corporate meeting, or just a time to splurge and relax, they wish to create an ambience that provides unique social and cultural experiences. Hence, it’s necessary for them to take every little detail into account, be it colour schemes, textures, music, or lighting. Additionally, the restaurants also want to serve guests of every kind; whether it’s someone who wants to have a quick lunch, order a takeout, or spend some quality time on a dinner date, they want to be approachable to everyone, and function as a multipurpose entity. Therefore, the design too should be conceived in a way that makes it flexible and accessible to one and all. Are you someone who can’t dig into a plate of well-presented food until you’ve clicked a picture of it? Do you make sure you get an Instagram photo of yourself standing against the gorgeous backdrop of a restaurant you visited over the weekend? Well, you’re obviously not the only one. It’s a common trend these days to find one’s Instagram feed flooded with photos of food. ‘Foodporn’, as they call it, has become a whole different category of photography, and restaurants should and do take advantage of this trend. The design formats of restaurants in 2018 will include more and more selfie-worthy and Instagram-bait spots for guests to take pictures of and post on social media. Flattering lighting, kitschy design elements, and eye-catching furniture are all elements that contribute to creating an Instagram-worthy space, and this can help tremendously in the promotion of a restaurant. something that is appealing to all the age groups, especially the younger customers. Don’t be surprised if you find the newer establishments embracing architecture and highlighting craftsmanship, rather than covering it up with curtains. The 60s and 70s aren’t just reappearing on the sartorial front, but are also scheduled to make a solid comeback in the scene of the restaurants’ interior design. The food service industry will see a return of retro elements like chrome and brass finishes on tables, countertops, and stools, and the presence of flashy colors, metallic touches, plexiglass, linoleum, and neon colors will definitely be more prominent. While mid-century modern furniture has already been around in home design for the past few years, it will also make its way into restaurant design, especially in the form of wood paneling. As you can see, we can look forward to some exciting times ahead. And if you’re truly want your restaurant to stand out, it’s extremely important to keep up with the trends. And equally important is to find a restaurant stylist to run the show. A restaurant stylist is someone who the magic happen. Be it a fine dining restaurant or a boutique café, every place has a vibe, a character and a personality. 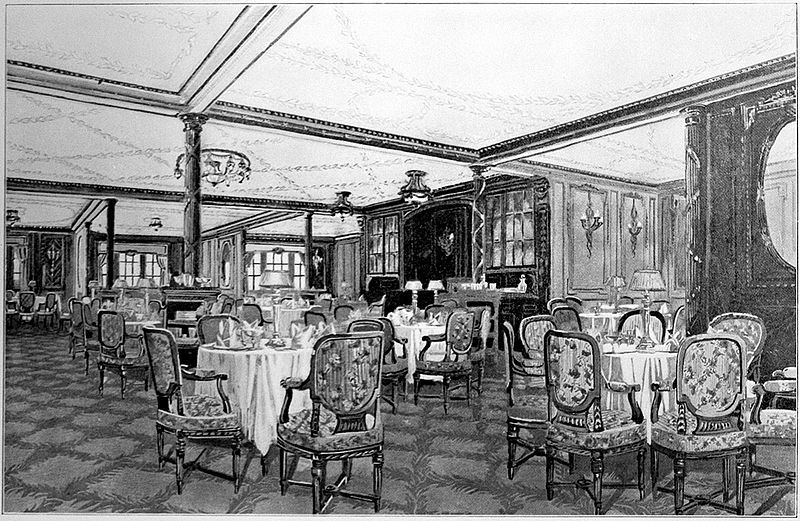 The right styling and ambience can speak volumes and add to a customer’s dining experience. A restaurant stylist can help establish the right personality of the restaurant, picking everything from the color schemes to crockery designs and setting the stage for a customer’s dining experience. So if you are looking to revamp your restaurant or need help with spinning a new concept, you can benefit largely from hiring a restaurant stylist. 2018 will be a year of not only new trends in restaurant design, but it will also witness the modification of present and age-old patterns. Casual and formal environments will co-exist, allowing the customers to truly have a good conversation without the staple distractions. Open kitchens will grow in popularity, and bespoke lighting will be incorporated, therefore giving the guests maximum control over the ambience. The disposal of cliché designs like white walls and industrial looks, and the embracement of old school arrangements and sequences are what will be the design highlights in the food industry. With ingredients like color, comfort, and authenticity destined to play a major role in shaping restaurant design trends over the next few years, it indeed feels like the golden age of the hospitality sector.